Take care of the Newborn Foal! 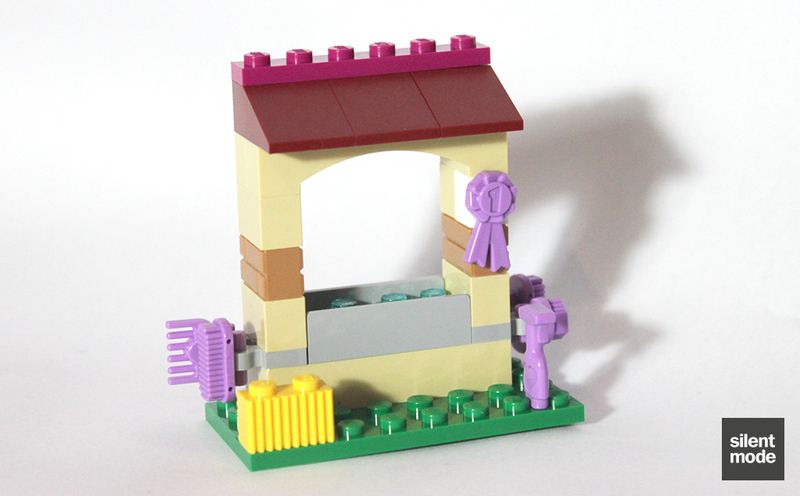 Take care of the newest arrival in the Heartlake City stables with Olivia and fun accessories! Get water from the moving pump to fill up the trough and feed the foal with the carrot! Then use the wheelbarrow to collect the hay for the foal under the buildable tree. Groom her with the accessory pack including ribbons, brushes and combs to make her very pretty! Includes Olivia mini-doll figure. Move the water pump up and down! Collect the hay with the wheelbarrow! 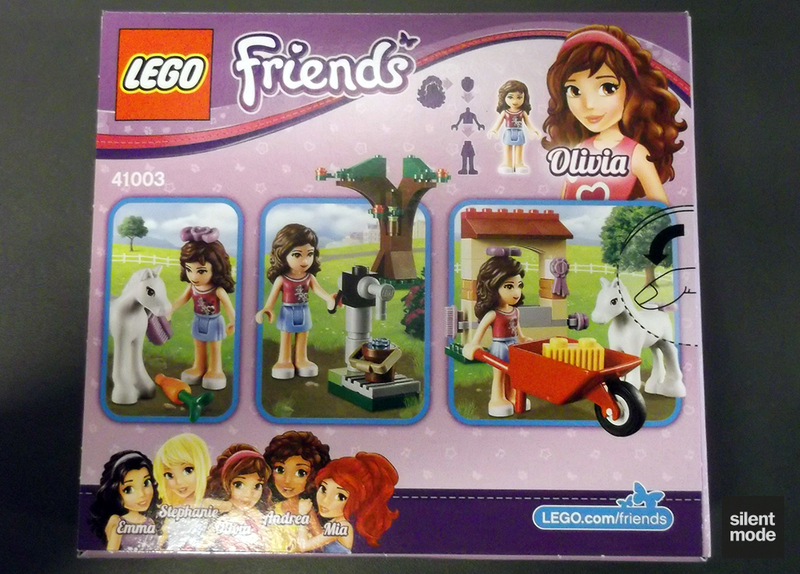 So on finding out what this set’s called, I immediately began to wonder: did Olivia give birth to a newborn horse?! And is it that wrong to have that initial thought? It probably is, but these are the kinds of questions that come up during the reviewing process. After all, she is an inventor. This is SilentMode yet again, and here I’m reviewing the second of three third-wave Friends sets that I picked up on the way back from Iceland. It’s in the GBP 9.99 price range, and this time we join Olivia as she takes care of a rather long-legged foal. The box art for each of the GBP 9.99 sets makes it difficult to choose just one, as they all compliment each other. 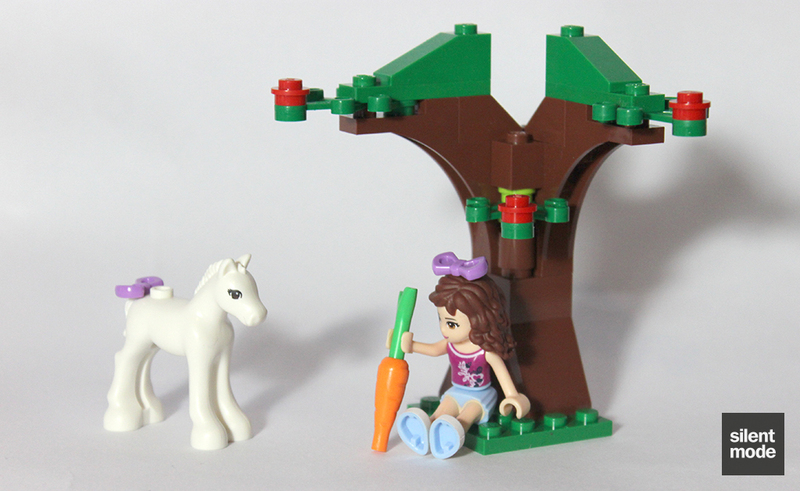 I eventually decided on this set because of the inclusion of Medium Lavender accessories, as well as the small horse. 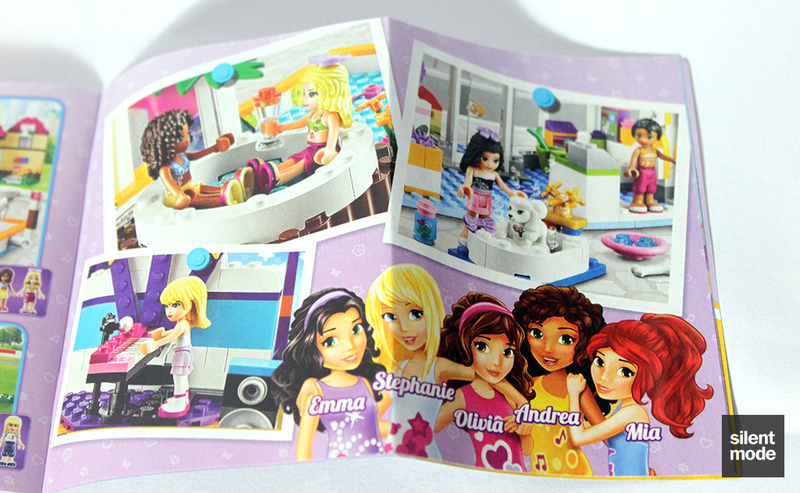 The back of the box shows Olivia interacting with the play features of this set: almost a nod to the old-style LEGO boxes, which showed alternative builds using the parts found in the set. 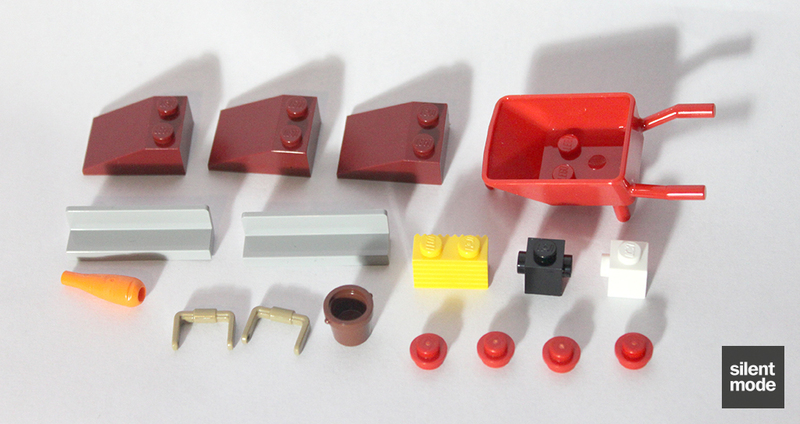 Besides a small bucket showing the parts scale, there’s nothing glamorous about the sides of the box. Breaking from the tradition of two bags of parts, a large plate and the instructions, here the large plate is replaced with the foal, encased in a small plastic bag. 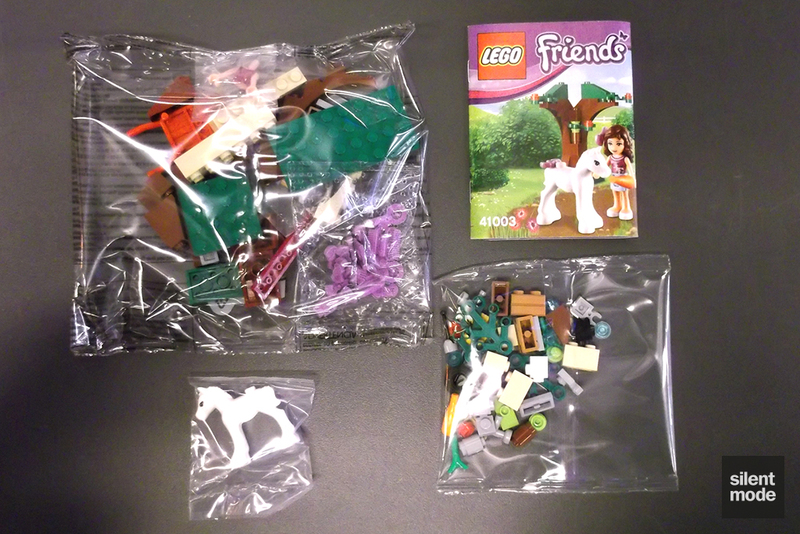 The parts in the other bags look minuscule, with the oversized bags acting as padding. Sometime during the transport process, the foal started cutting Olivia up into several parts, Dexter style. 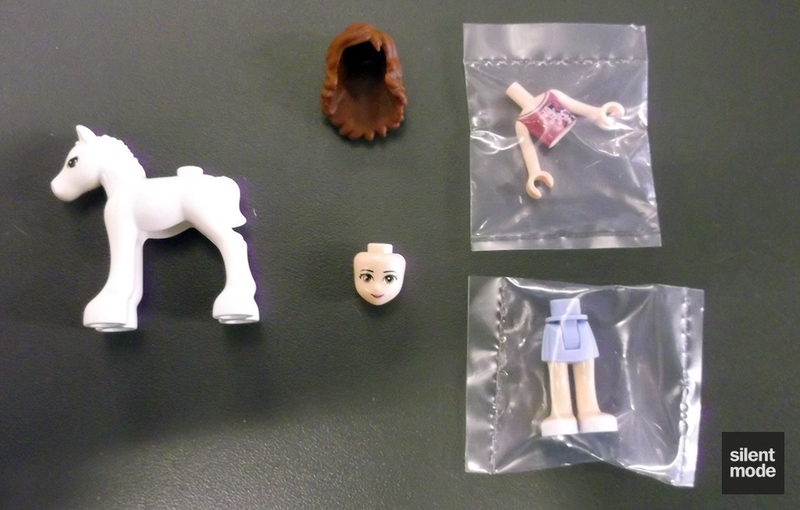 It only had time to place the torso and the legs in the bag, however. Here we have the assembled Olivia and the foal in the same shot. Olivia is sporting a striking new number: a Magenta vest with a Medium Blue skirt and white slip-ons. This outfit in particular highlights the use of regular colours, and the relative absence of the six colours introduced by the Friends theme, in this third wave, which I actually like. Olivia has her usual hairstyle. The unnamed and un-sexed foal (see above), like the larger horses, has no points of articulation, and only one spot for placing an accessory… above its tail. Right between the single stud on its back and… the tail. A literal case of pin the accessory on the foal. One thing I like to see in a set is Green parts, and in a twist of fate the original Green has taken precedence over Lime. I had been concerned that Green was being phased out, but this isn’t the case. I should note there is another 1×3 Green slope and 1×4 Green plate that isn’t in this photo. In any case, there are some very useful landscaping parts here, including the three plant parts and the Bright Green stalks. Equally appealing are the parts in brown and Tan colours, of which there is a greater mix. 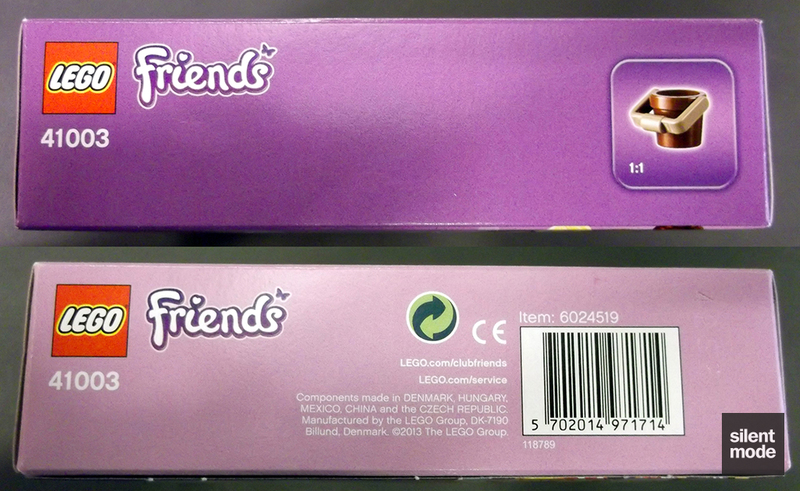 Your eyes are probably drawn to the Medium Dark Flesh masonry bricks, which LEGO has been teasing us with throughout the year. 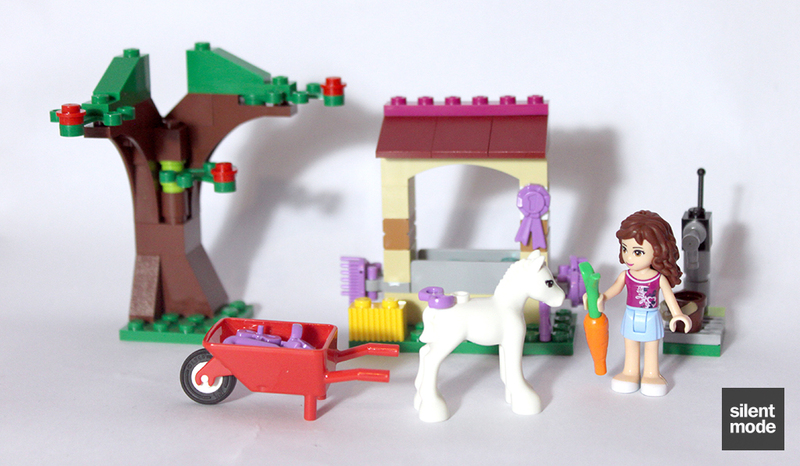 The more useful parts in this set include the new wheelbarrow, introduced in the City theme, the two SNOT bricks and the small bucket, this time with Dark Tan handles. There’s also a carrot for anyone who hasn’t gotten one yet. 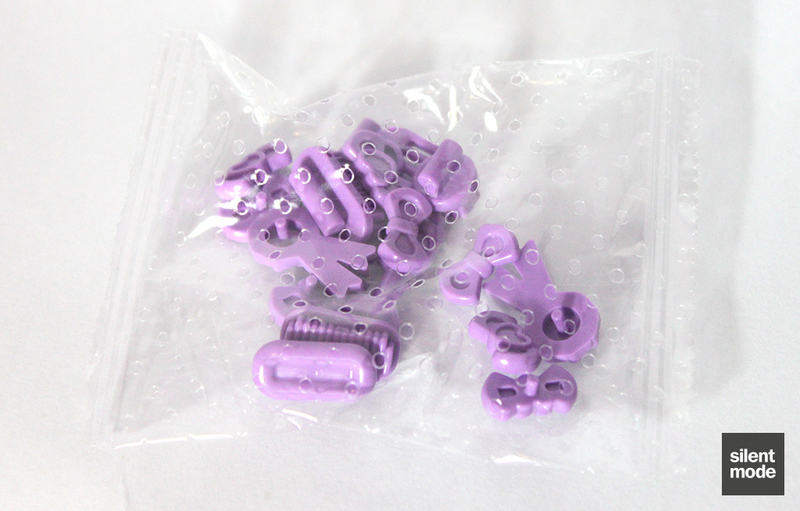 Now one of the least expensive ways of obtaining Friends accessories, this set comes with the animal grooming pack in Medium Lavender. This means brushes, award ribbons, bows, a spray bottle and a lozenge (perhaps used as soap). First thing to do is put the wheelbarrow together, as well as place a bow on the foal’s… above tail. These are fairly simple, but the hole above the foal’s… tail makes for a rather (oh dear) tight fit. 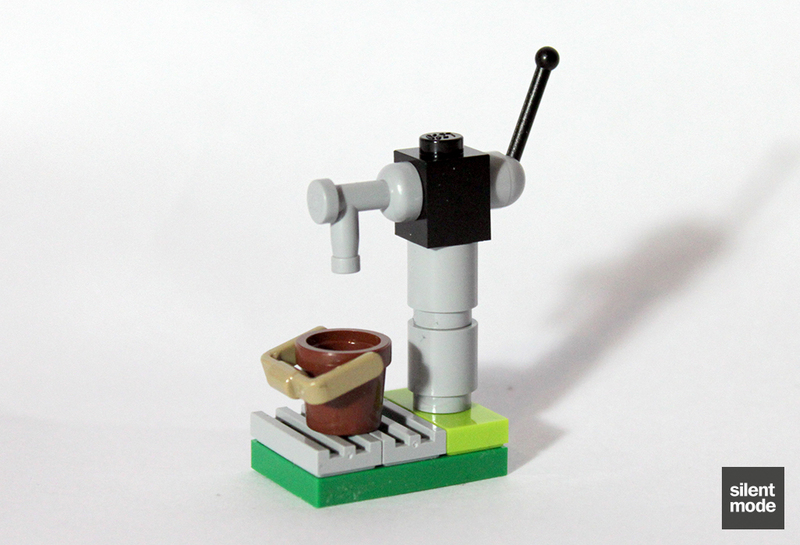 What follows is the construction of a simple water pump, with an extremely common lever piece used as the interactive mechanism. 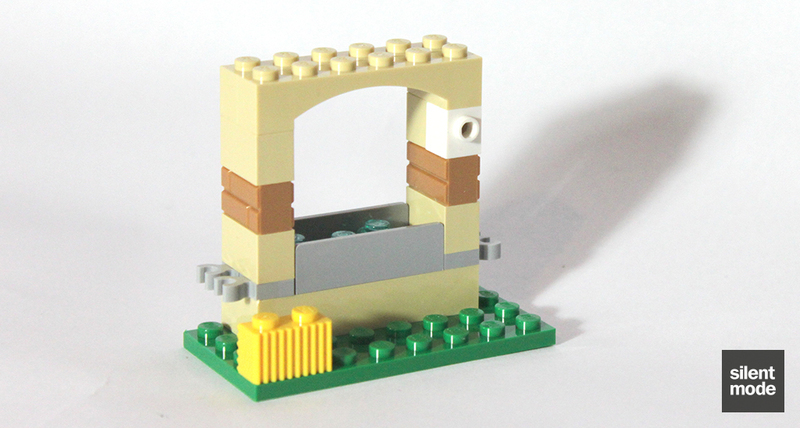 It’s not a bad little build, and amazingly there’s no Pearl Gold in sight. It starts with a trough, made with the two 1×4 Light Bluish Grey panel pieces. 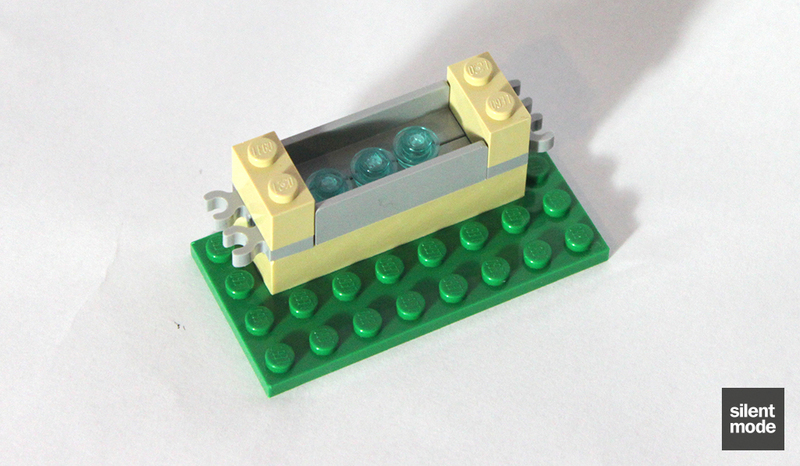 We can tell it’s a trough because we have these Trans Light Blue stud pieces to act as water inside it. The only thing that could be more impressive is a 1×4 Trans Light Blue tile taking their place, perhaps mounted on a couple of 1×2 (or even 1×1) transparent plates. The masonry bricks, as we might have guessed, help to construct the walls. We can also see the various spots for attaching things a bit later in the build. A simple roof is added using the three 2×3 Dark Red slopes and a 1×6 Magenta plate that was missing from the earlier photos. The Magenta plate is only available in this and another Friend set (Stephanie’s Plane), along with the long discontinued Belville Snow Queen set. Indeed, we now attach the brushes, comb and – of course – the #1 ribbon to the structure. 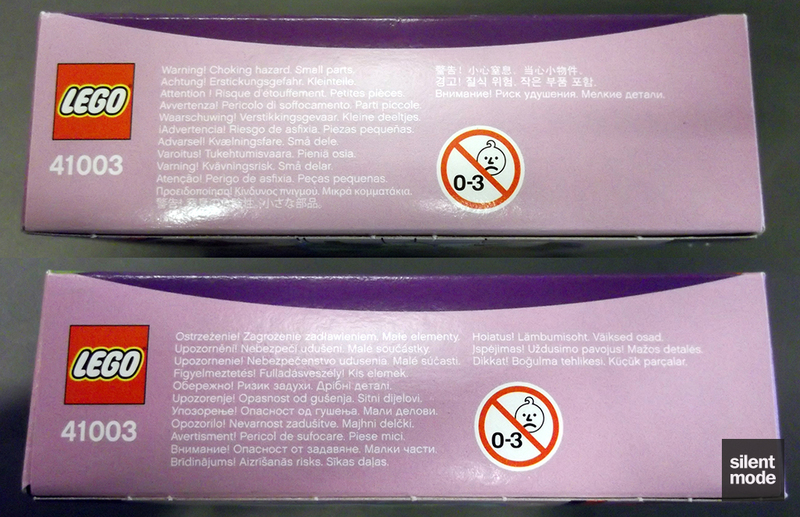 Notice that the spray bottle can sit between two studs, as shown in the instructions. Similarly to Mia’s Puppy House, we get the luxury of having a tree. This tree is slightly larger, being constructed using large slopes, and can provide ample shade. The design makes it suitable for positioning in the corner of a display. The finishing touches involve adding a couple more plant parts and some Green slopes to flesh out the top. The bulk of the parts make up the scenery, and while the set still looks small it’s more substantial than something like Stephanie’s Pet Patrol. There’s plenty of things to do with Olivia and the foal, at least for about five minutes. Not a great selection of leftover parts if I’m honest: the Bright Green plant stalk would really be the only thing that would come in useful. There may be some future use for the Dark Tan bucket handle. 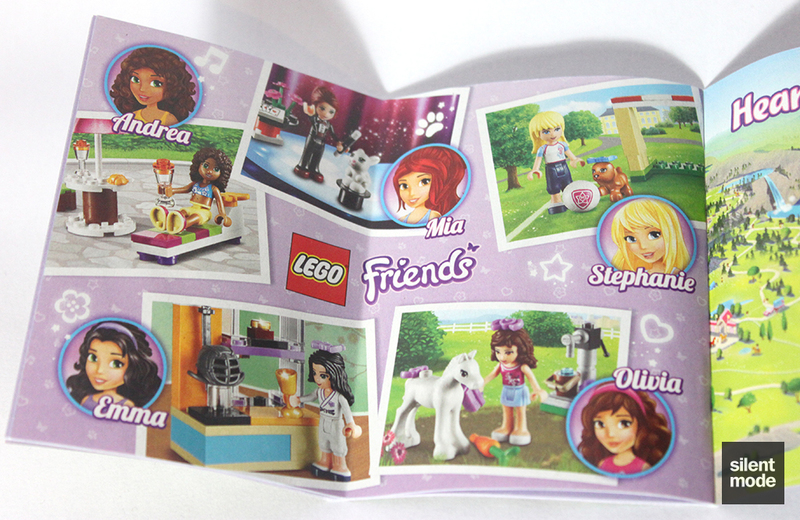 Each of the five main Friends characters in their respective GBP 9.99 sets: Mia the magician; Stephanie training the local puppy football team; Olivia with her foal; Emma getting physical with martial arts; Andrea on welfare/benefits. 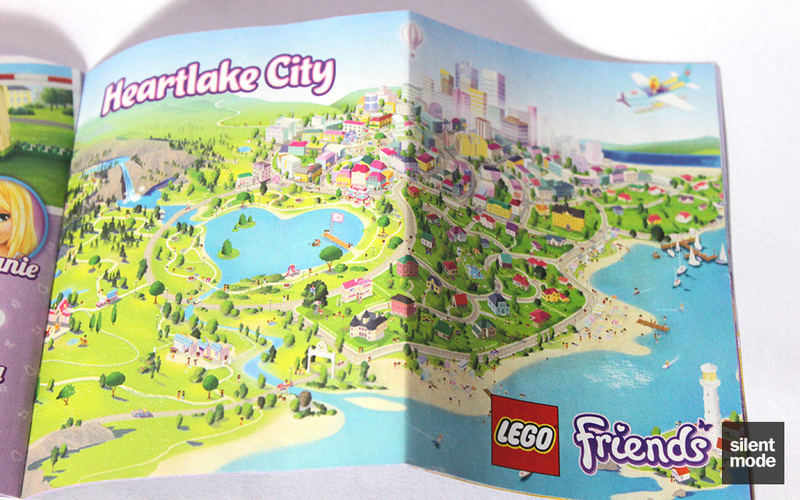 The map of Heartlake City appears to have been expanded, paving the way for more potential sets. Don’t be surprised if a hot air balloon is on the horizon, as well as a school or someone else’s mansion. Perhaps even a mountaineering set. Another page has a few more snapshots of things we can expect from the Friends this wave. 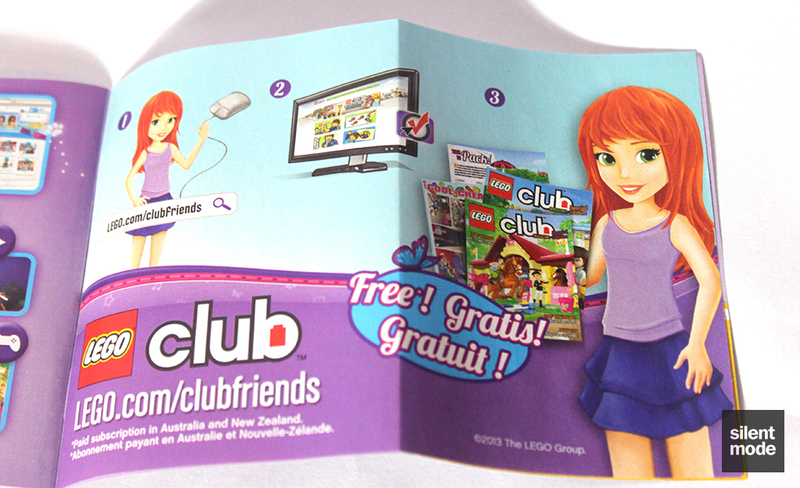 The nondescript Nina advertises the Club Friends web site, which is pretty much the LEGO Club for girls. I know for a fact that this character’s name is Nina, as it was shown in the Club magazine. It was a difficult decision choosing just one of the GBP 9.99 (or similarly sized) sets to begin with, but as mentioned before I chose this one because of the foal and the accessories. Having had a chance to review the set, I’m under the impression that any of the sets would have been as good as the other. 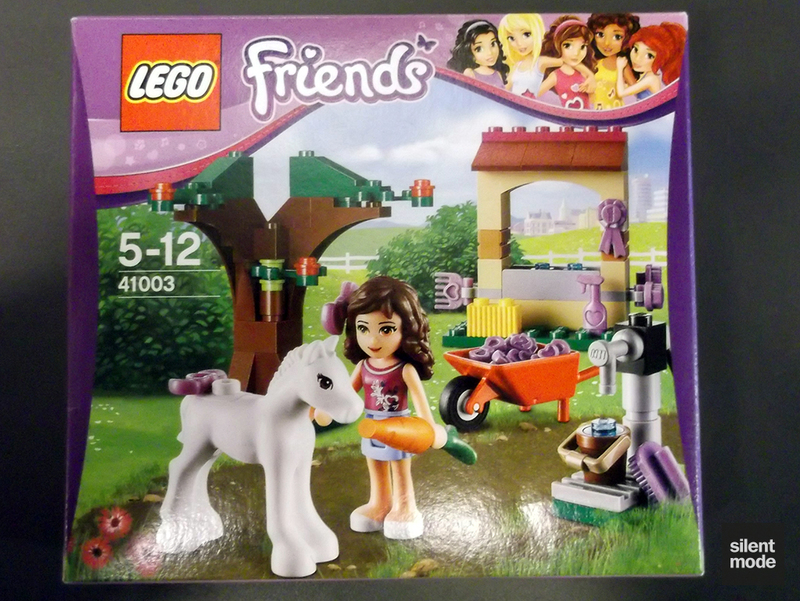 The biggest selling point of this set would be Olivia’s outfit, particularly if you’re into collecting all the variations of minidolls, followed closely by the foal (if you’re after every single LEGO animal in existence). I think that’s going to be the main reason for buying any of these sets at this price, especially considering that the use of the “new” colours has been toned down. The foal has a very strange shape, probably so it could stand at the right height compared to a minidoll. 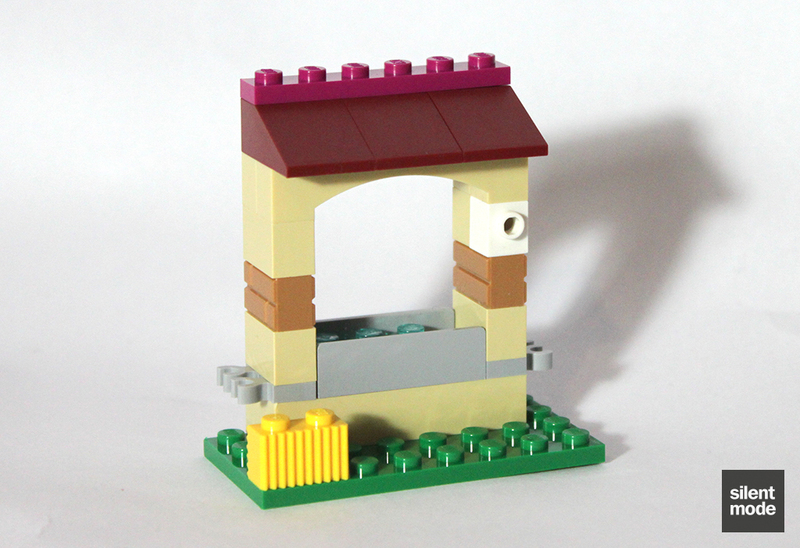 The selection of parts in the set is decent, with the two masonry bricks, the wheelbarrow and the small bucket coming in most useful. The novelty of the included accessories has worn off for me personally, and now I’m wondering what on earth I’m going to do with so many! Especially since many of the parts are intended (as per the instructions, anyway) to be hauled around in the wheelbarrow. 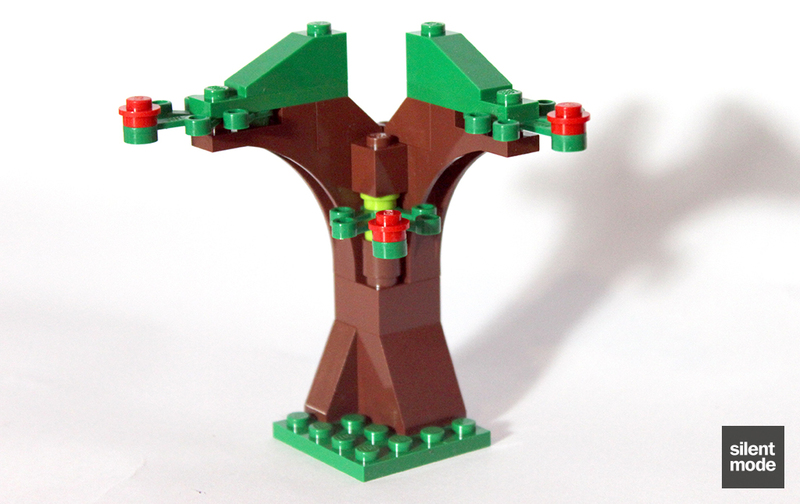 The weakest part of the set is the tree (and I might be biased because of my own MOC), otherwise this set was quite well put together. I particularly like Olivia's outfit. Very simple to build and near impossible to slip up. Compared to other sets I've reviewed in the past, there seems to be a better selection of parts to build the model; almost as if the design was focused around building using a set number of parts as opposed to using certain parts to build. 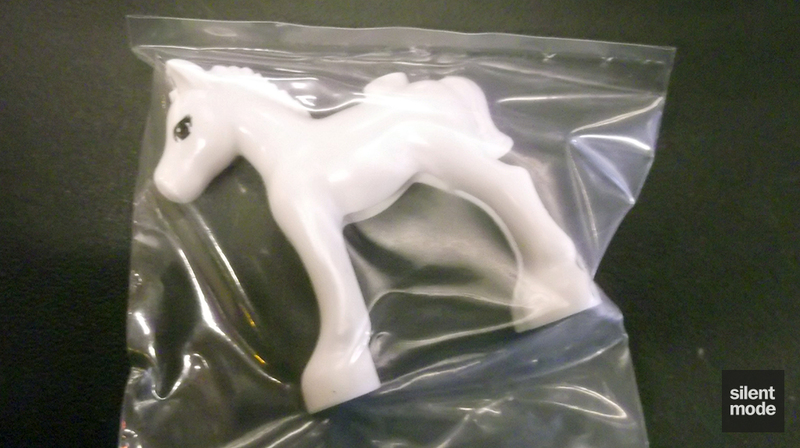 With the accessories there's plenty for the target audience to occupy themselves with, but again what to do with those accessories could be an issue - particularly as the foal can only wear one on its... above tail. As with Stephanie's Pet Patrol the premium seems to be the animal itself. Definitely a set to look out for if discounted; how badly you want the mindoll and/or foal would determine the value at RRP. Based on these scores I’d give Olivia and her foal 6.4/10. Not bad, but I would be keen to see how the other sets at this price would fare. Here’s one other thing you could do with the set: recreate Alice In Wonderland. But with a foal instead of the White Rabbit.